Can you believe there are only a couple weeks left until the new year?! 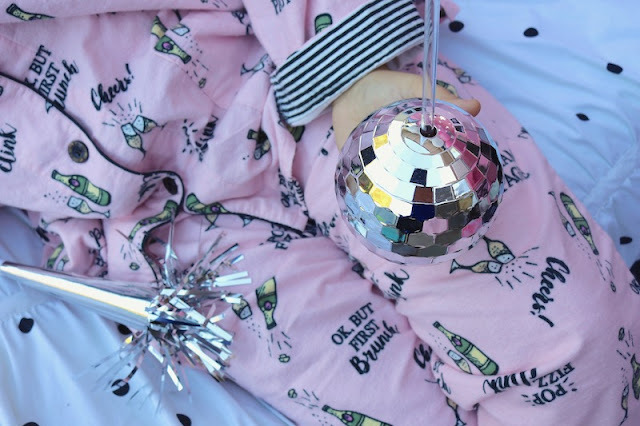 Gather your amigas and put on your cutest pj's because its time for a fun New Year's Eve girls night in! We're sharing our ideas for hosting a festive night in with a mini confetti bar and party favors they'll love! 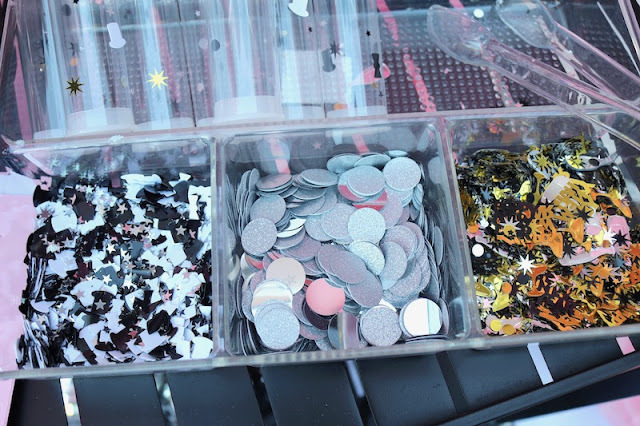 Get ready to toss the confetti with your very own DIY confetti bar! All you need is a fun assortment of confetti and plastic tubes to hold all those confetti creations! Displaying the confetti in a tray with compartments makes it easy to select and grab your confetti mix. 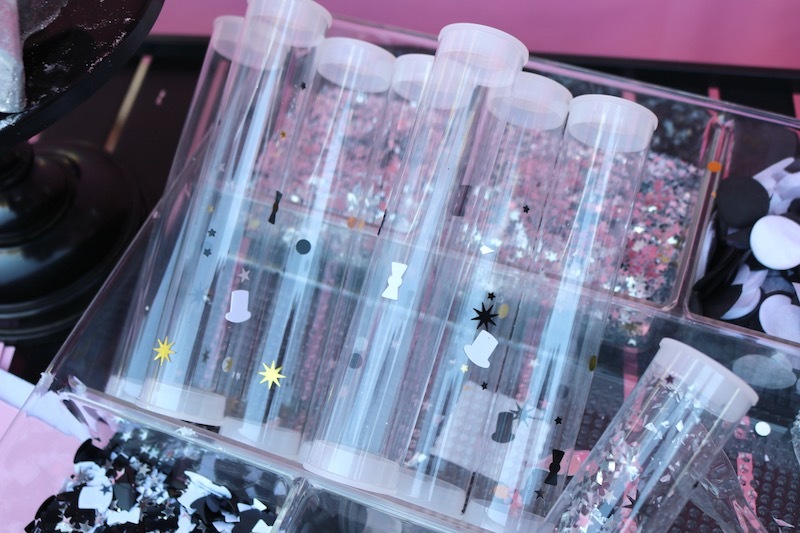 Fill your tubes and get ready to toss the confetti at midnight! 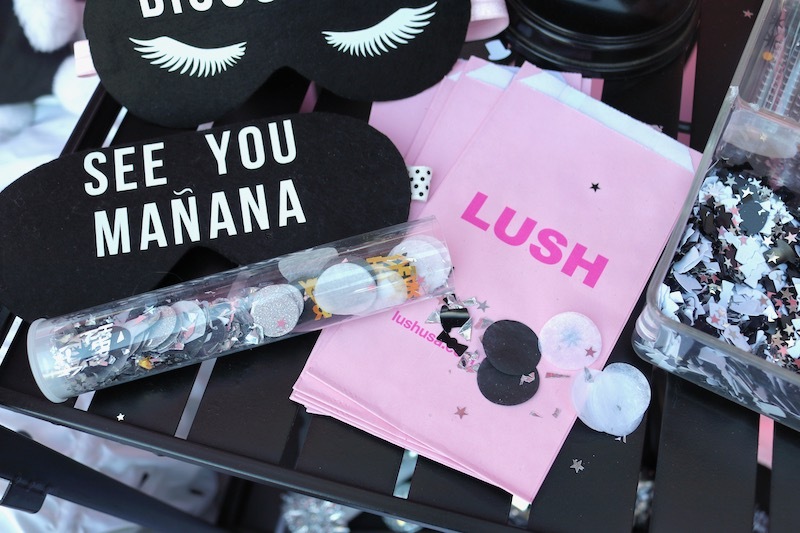 Party favors are always a good idea! Show your chicas how special they are with sparkly bath melts from LUSH. 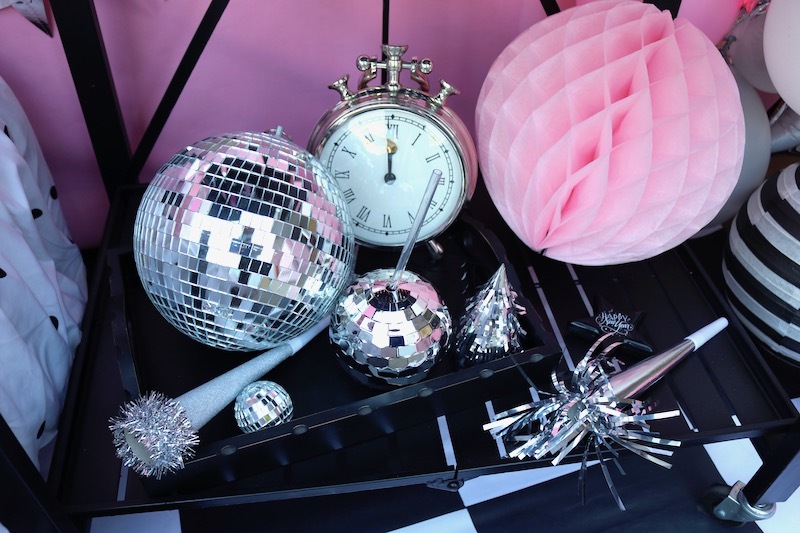 The star light star bright bar is a perfect way to ring in the new year! Set out the bars and paper bags for easy grabbing. 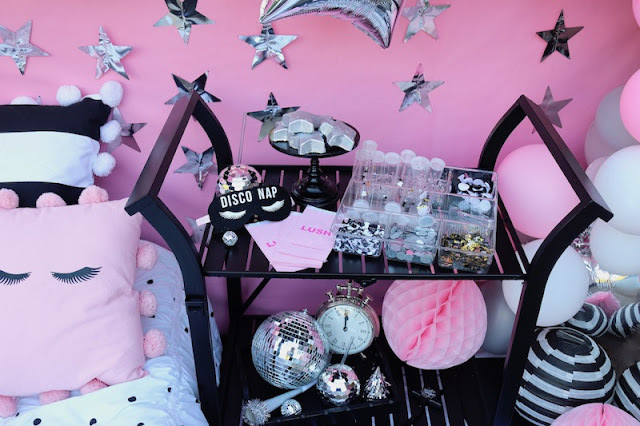 Disco balls are so fun! These shiny disco ball cups also make a great party favor. Fill them with a tasty beverage and sip sip hooray! Did your girls pack their cute pj's?! 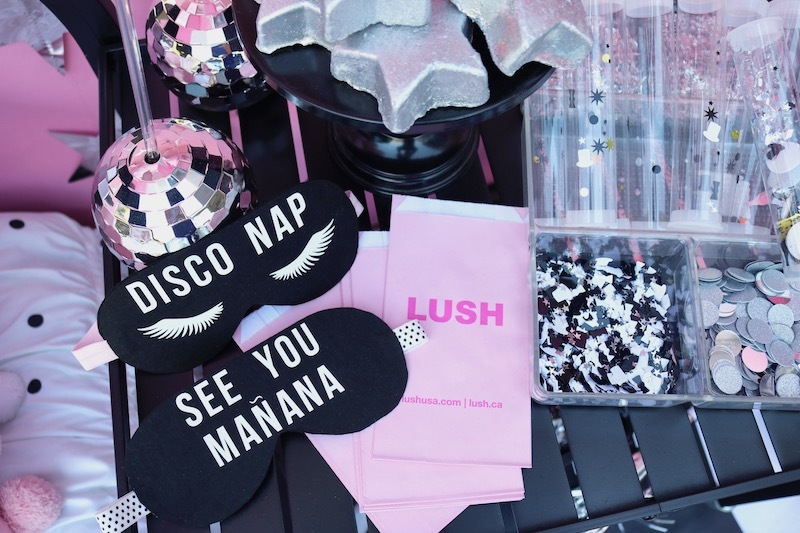 After tossing the confetti, hand out a sleep mask to everyone. 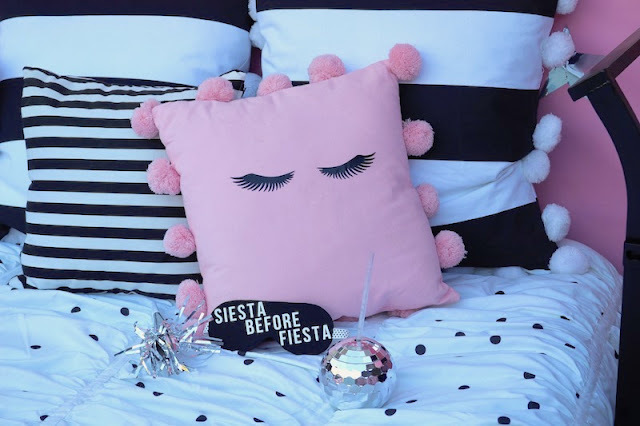 I created custom sleep masks with the new Cricut Maker and Cricut Easy Press, from Cricut! 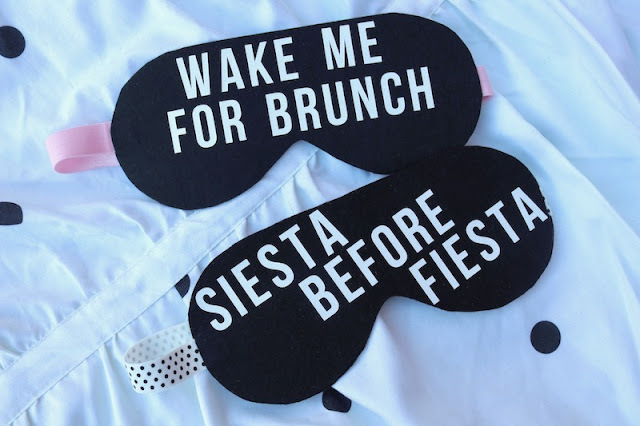 Not only will your amigas love what you made for them, they'll be ready for sweet dreams before its time to wake up and enjoy the brunch you have planned for them on New Year's Day! The Cricut Maker was easy to use and even cuts through fabric! I found a night mask template and created these fun masks with black felt. I thought up fun phrases for the masks and created them with white iron-on vinyl. 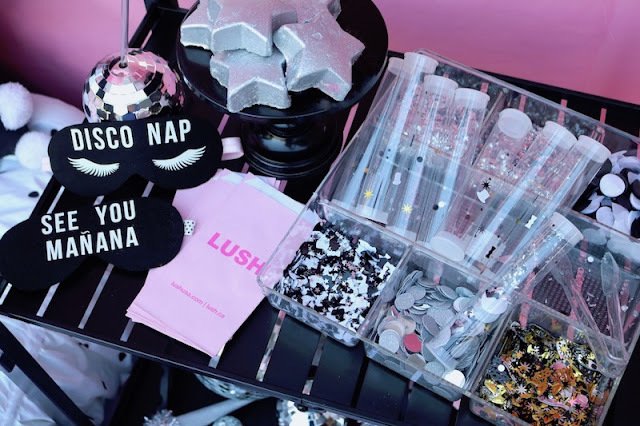 I'll share my tutorial so you can see how easy the sleep masks are to create on your own! Are you ready to start planning for your own Amigas night in? Make the confetti bar and personalized night masks your focal point for a super fun NYE party! Next week I'll be sharing all my ideas for a brunch to enjoy with your girls, on New Year's Day - you don't want to miss it! Happy New Year! 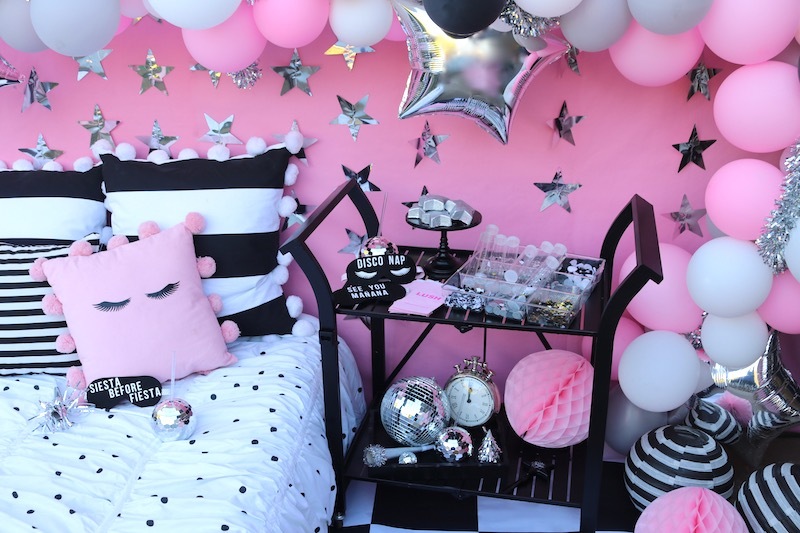 Laura Aguirre is the founder and LAURA'S little PARTYstylist over at LAURA'S little PARTY - a site for party inspiration, budget-friendly party ideas, DIY projects, recipes and more! She has a zest for fun party details and loves to add unique props into her styled shoots and family celebrations. Laura resides in Orange County, CA with her husband and 4 children.